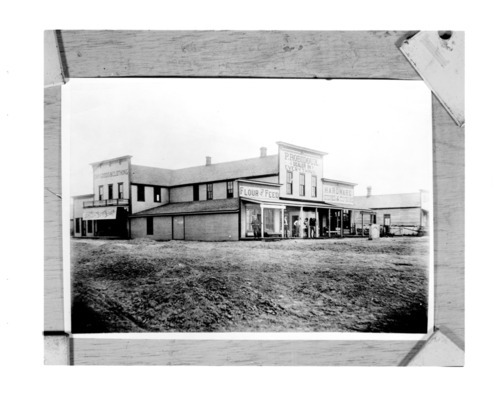 This black and white photograph shows the Robidoux's Merchandising store in Wallace, Kansas. Standing in front of the store to the far left is Peter Robidoux, the proprietor of the store. The business closed in 1893 with an inventory of $20,000.00.